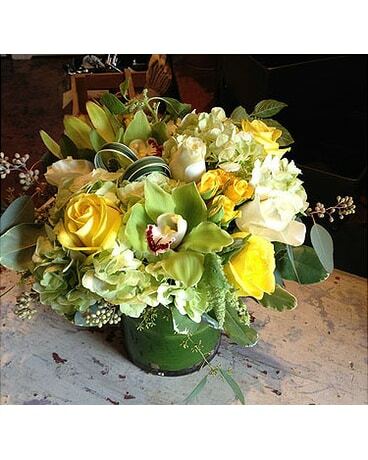 Brighten someone's day with our bold, cheery Lemon Lime bouquet. This arrangement makes one think of gazing out through a lush summery garden, sipping lemonade, whilst lounging in a weathered white adirondack chair. **Please keep in mind that fresh flowers change with the seasons, so the above image is just one representation of the fabulous arrangement that will be sent.